Unless you are of a certain age, it is unlikely that you will have a real understanding of just how important Schenker and his Flying V was to hard rock. His first recording was with Scorpions on their debut ‘Lonesome Crow’ when he was just 16, and he was soon stolen by UFO and appeared on all of their major albums, ending his time with them with the live ‘Strangers In The Night’. At the end of the Seventies no rock disco was completed without ‘Doctor Doctor”, “Only You Can Rock Me”, “Shoot Shoot” or “Lights Out” (normally all of them). After that he recorded a brilliant solo debut with “Armed and Ready” and “Cry For The Nations” being bona fide classics, but then there was a slippery road downhill, both artistically and musically. He worked with some great musicians and singers, but even a return to UFO didn’t work. 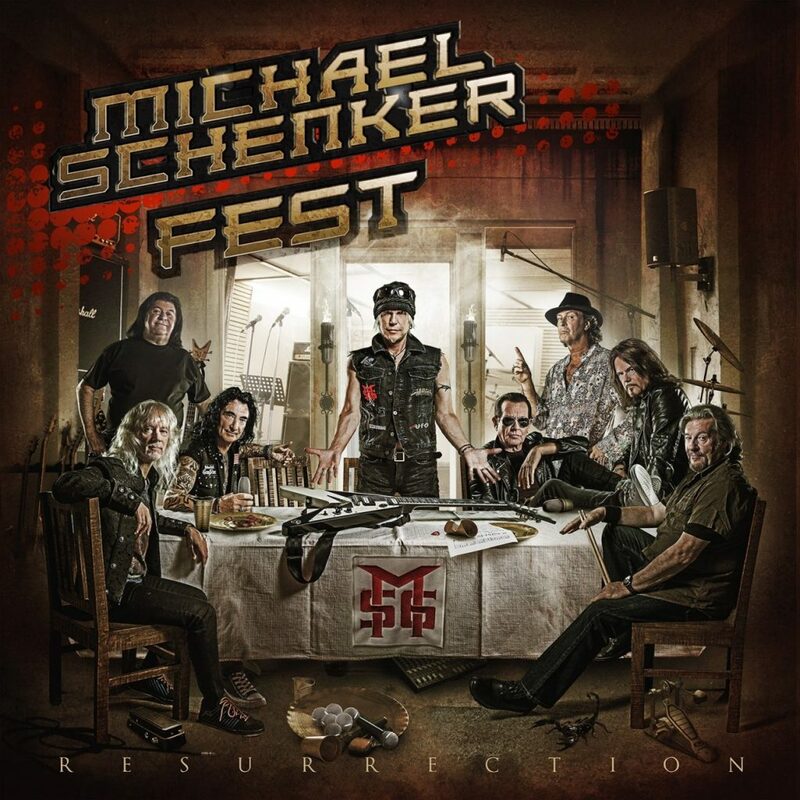 Fast forward to 2016, and he put together Michael Schenker Fest, a tour featuring former Michael Schenker Group vocalists Gary Barden and Graham Bonnet, plus Robin McAuley of the Mcauley Schenker Group. Instrumental back-up was provided by former M.S.G. bass player Chris Glen and drummer Ted McKenna (I know that’s important in the context of the review, but for me, those guys will always be SAHB), plus guitarist/keyboard player Steve Mann, also of the Mcauley Schenker Group. The shows went so well that it seemed to make sense to record some music together, and to make it even more complete they brought in Doogie White (ex-Rainbow), who had been a singer with Schenker’s Temple Of Rock. The result is nothing short of a major success, and if ever an album title was apt then it has to be this one. Schenker is very much back from the wilderness, with an album that is rolling back the years for all involved. Some of the songs feature all four singers, while each has their turn in taking lead. Schenker himself is way more restrained than usual, as there is a real focus on songs and the overall impact instead of the mad axeman out front crunching riffs and blazing away on solos. But, this is a hard rock album first and foremost, and most importantly this sounds like one where everyone wanted to be there and was having fun. It is early Eighties melodic hard rock with balls: there is nothing fashionable about this. Michael is now touring the album with Doogie and is even talking about having Phil Mogg and Klaus Meine on the next one. Schenker has been in the wilderness for far too long, and I certainly never expected to hear an album like this from him again. Cast away all thoughts you may have had of his material in the last thirty odd years and give this a chance.